Since its earliest days, Washington, D.C., has attracted architects, designers, builders, art collectors, entrepreneurs, and politicians from all over the world. They loved the excitement of the city and the chance to design and build something special in the capital city. These figures include Major Pierre Charles L’Enfant, who developed the plan for the city in 1791 for President George Washington, Stanford White who designed The Washington Club/The Patterson Mansion in 1903, and James Hoban and Benjamin Henry Latrobe who designed the White House in 1792 and noted landscape architect, Frederick Law Olmstead who helped design the National Zoo in 1889. Not all of the buildings designed and built during the early years of Washington, D.C., have been preserved, but more than 500 survive and are listed on the National Register of Historic Places, including 74 National Historic Landmarks of the United States. Fifty-seven Washington, D.C., sites are featured in this book. This book showcases a unique craft, roofing and sheet metal, and its importance in preserving these treasures. 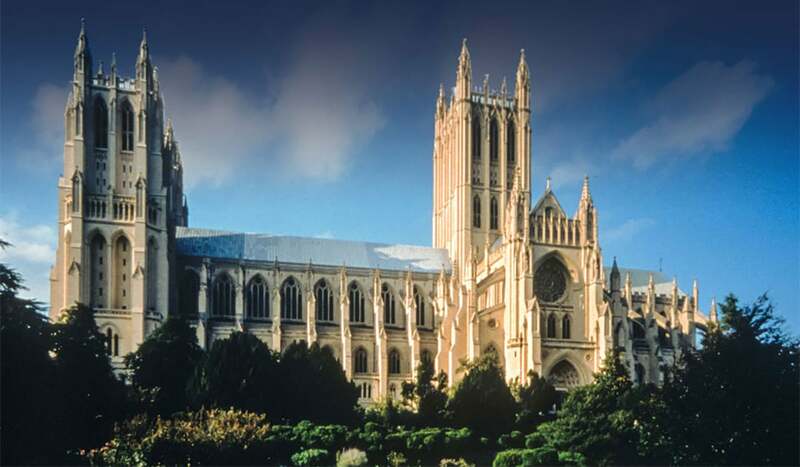 Wagner Roofing has been dedicated to promoting and protecting this important craft for the past one hundred years, and the company has played a significant role in restoring and replacing the roofs and other sheet metal work of such historic landmarks as The National Cathedral, the Smithsonian Castle, Woodlawn Plantation, Lincoln’s Summer Cottage, US Department of the Treasury, The Old Post Office, and more. This book documents the beauty and variety of the buildings of Washington, D.C., through hundreds of beautiful color photographs, most taken by Chuck Wagner, Wagner Roofing’s current CEO, and demonstrates the key role the company has played in maintaining these landmarks for new generations. This beautiful publication chronicles only a small part of Wagner Roofing’s accomplishments and their impact on the history and preservation of Washington. Wagner’s work has touched all parts of the city and has resulted in the preservation of not only the fabric of our streets and neighborhoods, but the preservation of roofing crafts. There are two equally remarkable things about Wagner Roofing: first, the quality of their work on the most challenging roofs in Washington; and second, their survival as a family-run business for 100 years. But the Wagners have managed to do it and thrive. And our cityscape is richer for it. Wagner Roofing looks at roofs in a whole new way: they are works of art, each one unique, each one offering new challenges, each one requiring incredible skill and attention to detail. Whether it’s a roof on the Naval Academy, or the U.S. Capitol, or the Rotunda at the University of Virginia, Wagner’s artistry is as obvious as the roof’s elegance. Charles “Chuck” Wagner is currently Chief Executive Officer and owner of Wagner Roofing Company, a roofing and sheet metal contractor specializing in copper, slate, and tile roofing on historic buildings. Wagner Roofing was established in 1914 by Wagner’s grandfather, Otto, and is a family-owned company celebrating 100 years in business. Wagner’s roofing work has also been recognized with awards and he serves on several boards, including the District of Columbia Preservation League, MedStar National Rehabilitation Hospital, and the Slate Roofing Contractors Association. Wagner is a third-generation Washingtonian and a graduate of Saint John’s College High School and LaSalle University. Sheila Wagner, Vice President, was born in San Francisco and spent much of her childhood in the south. After graduating from school in South Carolina she headed for Washington, D.C., in 1969, where she began a career in the construction industry working for Blake Construction Company and Kettler Brothers in Gaithersburg. Sheila Wagner has worked for Wagner Roofing since 1991, and streamlined all aspects of the business playing an important role in keeping the company profitable. The Wagners reside in Washington, D.C., and have been married 37 years. They have four daughters and seven grandchildren. To request a copy of the book, please contact Sarah at sarah.reynolds@wagnerroofing.com or call 301-927-9030.